This tour is trophy taimen expedition to one of the most remote places not only on earth but perhaps even in Russia. The tour starts in the town of Abakan with a 360 km (200 mi) drive to a tiny village on the shore of Yenisey river, where expedition will board two large airboats for a spectacular ride along Yenisey and Hymsara rivers. 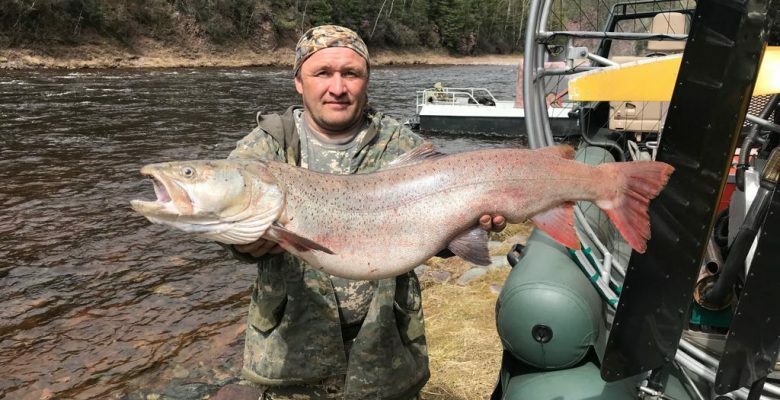 Taimen fishing will start on the evening of the first day following 200 km trip and will continue for the duration of the journey during frequent stops at the mouths of tributaries feeding Hymsara river, the favorite places for taimen to feed.